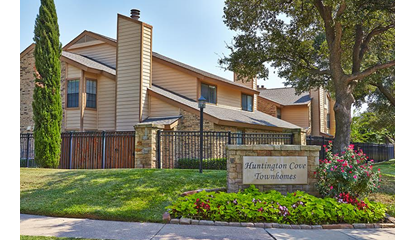 ​​ FARMERS BRANCH – Huntington Cove, a 100-unit townhome community, has traded hands. Huntington Cove, at 14802 Enterprise Dr., was built in 1982 and is located just south of Beltline Rd. and west of Marsh Ln. At the time of closing the townhome community was 96 percent occupied. The sale of Huntington Cove was organized by CBRE Capital Markets’ Investment Properties. It's free, no signing up, so enjoy the stats at DFW Multifamily Market Research from 4Q 2017.